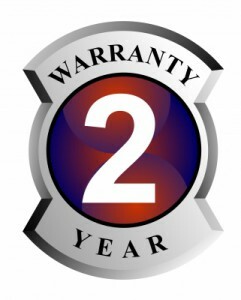 Your auto warranty is good for 2 years or 24,000 miles!!! Every morning you drop your kiddos off at school. But, you’re not just leaving them in an empty building. You are entrusting them into the good care of highly qualified educators! If you didn’t feel confident in the teachers and administrators, you wouldn’t be dropping off your children at that schoolhouse. In many ways, it’s rather similar to your auto. Your car (truck or van) is your baby. We get that. We feel the same way about our vehicles, too! When you drop off your auto with us, you want to know that it’s in good care! We can relate… which impacts the way we treat you and your car, truck or van. That’s why we offer you such a strong warranty on our work! Lots of people can say lots of things. But it’s essential for a promise to have substance to generate confidence! Just take a look at the top of the line auto warranty we offer. 24 months. 24,000 miles. Parts and labor, covered! This is genuinely an auto warranty you can rely upon. Just set up your appointment – make sure to bring your original repair invoice. We’ll replace any failed part under warranty … and we won’t charge you a penny! Your new repair will be under warranty for 24 months or 24,000 miles. But what happens if you’re on the road, not anywhere close to B&M Auto Specialists? Again, it’s as easy as 1-2-3! Simply call the Warranty Administrator at 1-800-477-6686. The friendly administrator will direct you to the nearest service center. You’ll only have to pay for the parts – up front. But, keep your receipt. You’ll mail it to the Warranty Processing center so that you can receive your reimbursement check. Allow 2 weeks for processing … and then look for your check to arrive in the mailbox. Having a warranty is all about giving you peace of mind. Give us a call and we’ll be glad to answer any questions you may have. We want you to be satisfied … each and every time you come to B&M Auto Specialists!